Master Martin Ace received his 7th degree black belt in taekwondo from Cobra Martial Arts Association on 18th September 2017, which can be verified on the National Black Belt Register. I began training in 1982 and initially started with Seibukan karate with my friend Mil. 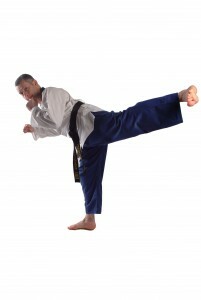 I was interested in learning how to defend myself and throw a few flashy kicks. The idea of ever actually sticking it out to gain a black belt never entered my mind. After all, black belts are only for the few gifted people out there, or so I thought. Mil and I trained hard together and both took our first martial arts grading on 1st July 1983 under Vernon Bell, the man credited with bringing karate into England. Mil and I were both really pleased as that grading was marked in points, and we both came out with the highest mark in the club that day. I drifted around with various styles until in January 1985 I began a relatively new style named Sul Ki Do. I really enjoyed the SKD training and this further fuelled my interest in martial arts. So, whilst training three times a week in SKD, I took up Wing Chun kung fu twice a week too. I trained at a couple of clubs, one of which was recommended to me by a friend, Demetrios, that I met previously in SKD. After about four or five months, I stopped Wing Chun altogether, tried a couple of months of kickboxing, again with Mil, and then got involved with SKD whole heartedly, attending six to seven classes a week from December 1985 until the end of 1987. I achieved my 1st degree black belt in Sul Ki Do on 24th September 1988. My Tae Kwon Do training began a year earlier in October 1987 when I had already graded to “deputy black belt” in SKD. I was introduced to Master K. Lye, a 6th degree black belt, who I started training with. He not only became my instructor, but a great influence on my martial arts training. Master Lye was not only a real expert in TKD, but a very good teacher too. Five times Malaysian national champion and a runner up in The South East Asian Games, this man was not only a full-contact competitor of international standard, but also a terrific instructor, a great motivator, and the inspirational force that led me to opening my own TKD club back in June 1993. Unfortunately Master Lye retired from teaching in 2007, but still takes an active role as the founder of the EWEST Taekwondo Association. Under his tutorage, I achieved my 1st degree black belt under Master Lye on 23rd February 1993, 2nd degree on 18th September 1994, 3rd degree on 6th July 1997, my 4th degree black belt Master Instructor on 17th December 2000, and most recently my 5th degree black belt on 13th December 2005. I love teaching all aspects of martial arts. Being a constant encouragement to my students, helping them to attain new skills and seeing them climb up through the grades is a real pleasure for me. Seeing them graduate up to the black belt is as exciting for me to see, as it is for them to achieve. On 2nd October 2000, I made the big transition, and turned professional, leaving my career in IT. I initially designed a training programme to take people from beginner to black belt in 36 months. That was successful, however I changed the methodology of teaching and running classes in May 2005 and we can now take students to black belt standard in only 24 months. There’s actually no reason for anybody not to achieve this. Training twice a week at The Academy, with 15 minutes of home training a day is enough. However, it is possible to fast-track through this by enrolling in our Leadership Programme. This was proved by one of our students, who gained his 1st degree black belt in only 14 months. 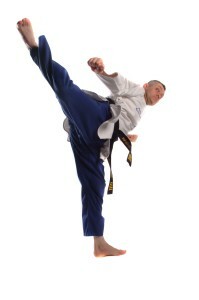 Aside of martial arts, I’m a Christian and try to attend Chase Family Church in Enfield Town when time permits. 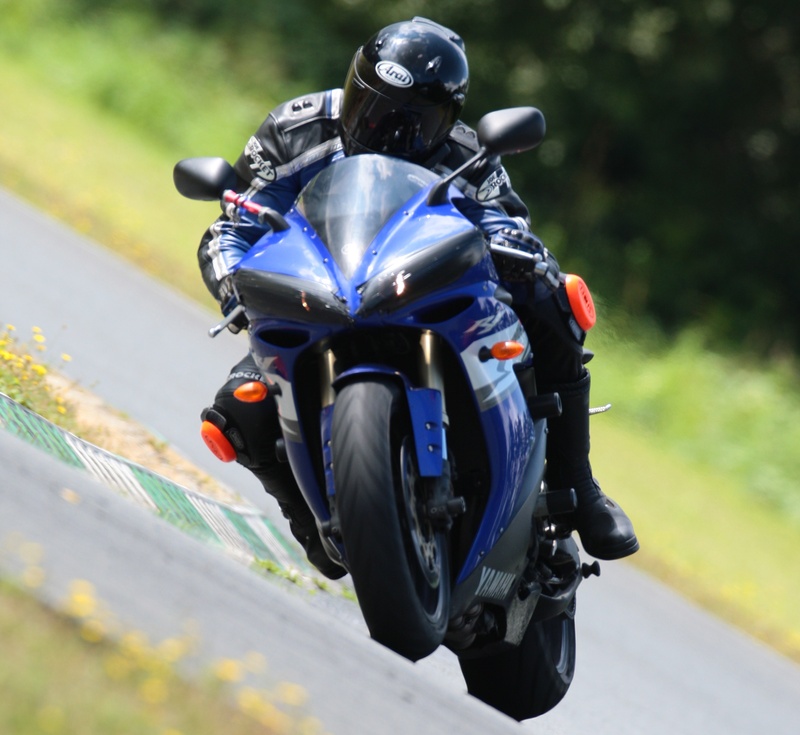 I’m a keen motorcyclist and got into bikes about the same time I started martial arts regularly, at the age of 16. I enjoy riding in good weather, touring on the continent, and have been on race tracks a few times. There is a massive crossover of skills between motorcycling and martial arts. Consider balance, perception, reaction speed, spatial awareness, and the all-important factors of planning and timing, and I hope you can appreciate that these qualities are beneficial to both activities.